Over 2017, a number of debates took place questioning the longevity of Java and whether it would soon be replaced by other popular programming languages. 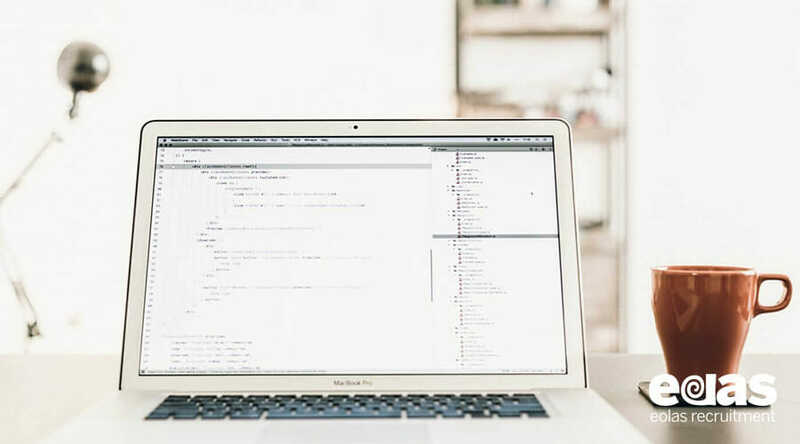 However, as one of the most widely used methods of coding, the number of projects undertaken with Java as their primary coding method has increased by as much as 20%, despite reports from Technology Analysts hinting that it could soon disappear. Java’s popularity can be attributed to its platform independence, allowing it to be run on a variety of different computers. Additionally, its simple language shares similarities with C and C++, meaning that it is familiar territory for coders with experience in this area, while its object-orientation provides the software with a state and behaviour. This comes in especially useful when creating enterprise software. Enterprise software is created to fulfil the needs of a company rather than an individual user. It is considered to be a crucial part of a computer-based information system and supports a high volume of internal traffic within an organisation. One of the main reasons why Java is useful for the creation of enterprise software projects is its practicality. Due to there being a number of similarities between Java and other coding languages, developers who have had experience in other languages can easily read the code. In addition to being easy to read, Java can continue to run unchanged on updated systems. This is especially helpful when looking to create a newer version of your enterprise software, and is something that is unique to the language. Although there have been a couple of issues with this in the past, most notably with Java SE 5 and assertions in Java SE 1.4, it is one of the most fascinating features for developers and is highly efficient. Another key feature which contributes to Java’s success within the enterprise software industry is due to its scalability. From Twitter and eBay to Facebook and Spotify, they were all created using Java coding. Thanks to Java Virtual Machine (JVM), frameworks for large-scale projects created in Scala or Java can run smoothly, with performance running at the best of its ability. After the launch of JDK8, the popularity of Java saw an increase, which was documented by the TIOBE index. With the introduction of API and Lambda expressions, the interface underwent a dramatic transformation which changed the way that developers were using the programming language. The update made things more convenient for its users, as well as upping the efficiency. Since JDK8, its successor, JDK9 has further begun to alter the way in which developers use it; JDK9 introduced modularity, which made it much easier for developers to build, deploy and maintain big enterprise applications. One of the essential things to consider when creating enterprise software is the security of the program. Being used by large groups of people, it is imperative that there is a security standard put in place that allows enterprises to download any folder with non-trusted programs. Additionally, the application can use these codes, analysing that what is contained within the app is secure, before abandoning the corrupted data. If you’re currently looking for Java Developer jobs in Ireland, why not get in touch with the expert team here at Eolas Recruitment? With a wealth of experience in the industry, we can help you secure your perfect position, so contact us for more information. Additionally, if you’re interested in finding out more about Java, then take a look at our blog. We have a number of different articles, from why Ireland is great for Java developers to 5 reasons why you should become a Java developer for you to take a look at today!